Kaplan’s University Experience Year is designed to introduce you to life in a real American university. Over 32 weeks you will build advanced fluency in English, strengthen your critical and analytical thinking skills, gain in-depth experience of a real-life English-speaking academic environment, and achieve valuable academic credits from one of our prestigious American university partners. You’ll divide your time between fine-tuning your English fluency and studying one of a fascinating range of university courses. After Kaplan’s University Experience Year, you’ll be more than ready to reach for your goals – you’ll be on your way there. With a Kaplan University Experience year, you’ll only need to apply for your I-20 visa once. Using your new English skills as you study alongside American students, you’ll build lasting confidence, independence and self-belief. You will achieve the advanced fluency you need to successfully write essays, join debates and deliver presentations in English. Gain 3 – 6 credits from an American university, which can be used to support a future application to a degree. Choose from a range of subjects at one of three highly prestigious universities, each located close to your Kaplan English school. Would you prefer to study in the heart of New York, by the beaches of Santa Barbara or in the midst of living history in Washington D.C? 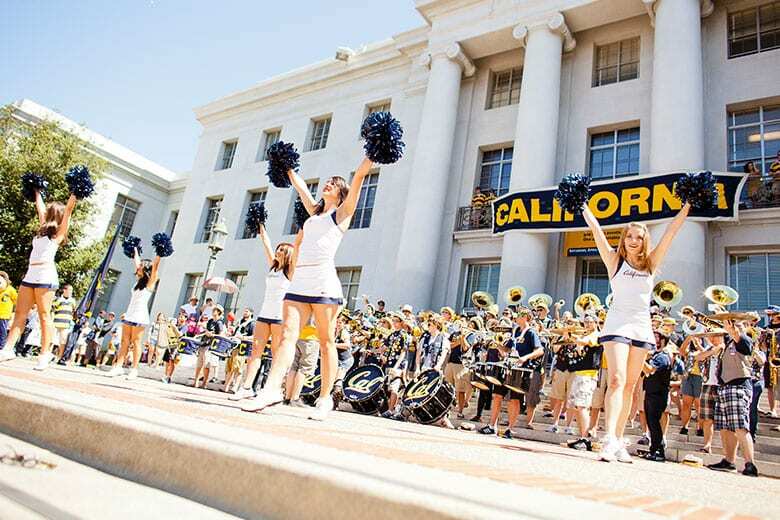 In the 1960s, Berkeley was a focal point of hippie culture and the Civil Rights Movement, and it’s still a magnet for scholars, idealists and philosophers whose ideas challenge the mainstream. The world’s number one public university according to U.S. News & World Report’s Best Colleges guide. Eight Nobel Prizes and four Pulitzer Prizes are held by current faculty members. Berkeley’s libraries hold over 12 million books – one of the largest collections in the USA. 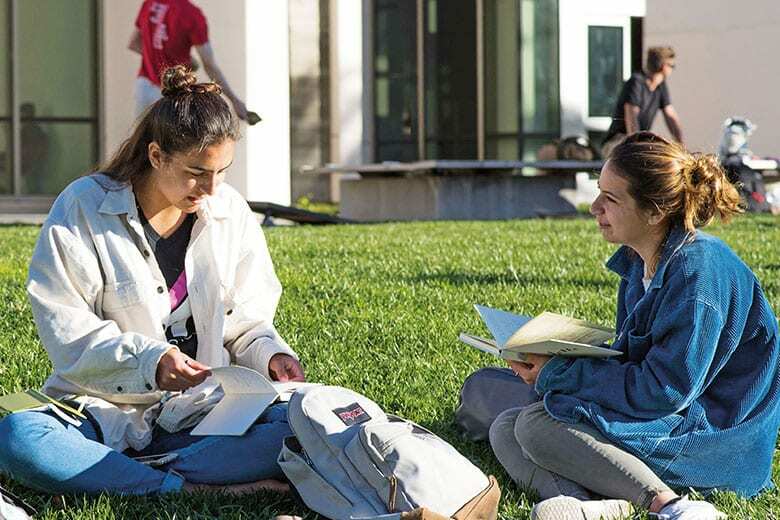 With six Nobel Prize winners and 34 members of the American Academy of Arts and Sciences on staff, UCSB is ranked within the top five American public universities, and globally recognised as a tier-one research institution. 10 national research centers on-site, including the Kavli Insititute for Theoretical Physics and the Materials Research Laboratory. Ranked fifth among all public universities in the USA, by U.S. News & World Report’s Best Colleges guide. Rated within the top 50 universities worldwide by the Times Higher Education World University Rankings and the Shanghai Rankings. Since its foundation in 1906, Pace has placed student opportunity at the heart of its academic mission. Alongside its commitment to excellence in teaching, the university provides one of the largest internship programs in the New York metropolitan area, with thousands of placements available at industries including business, entertainment, government and technology. Ranked within Payscale.com’s top 9% of US universities for salary potential. Almost 90% of faculty members hold a PhD. All Pace University degree programs are registered with the New York State Education Department. Inspired by its location in the heart of modern American politics, GW seeks to empower its students to make a difference in the world. 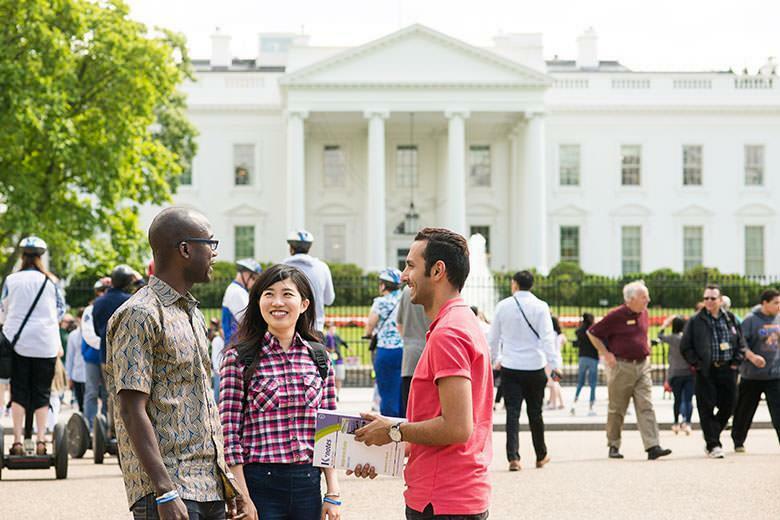 Committed to ideals of civic engagement, the university treats the whole city of Washington D.C as an extension of the classroom, hosting seminars in the U.S Capitol, the Newseum, the Kennedy Center and beyond. Alongside a stimulating intellectual environment on-site, GW encourages its students’ personal and professional growth through an extensive internship program, with opportunities in government, media, the arts and more. George Washington University is the largest institution of Higher Education in Washington D.C.
450+ student organizations, including groups focused on careers, arts and philanthropy. The university provides an extensive careers service, including twice-yearly Career Fairs attended by over 120 companies. * You can study Kaplan's University Experience Year with George Washington University in our school in Washington D.C. Intensive English training will help you reach the advanced proficiency you need to thrive in an English-speaking academic setting. You’ll receive specialist preparation for your college classes, including tours of the campus, and help completing the enrolment process. Our university partners recognize our English levels. You’ll begin college classes with the equivalent of TOEFL level 80 or above, but you won’t have to sit a separate TOEFL exam as part of the application process. After a semester of intensive English training, you’ll reach the required level of English proficiency to begin college classes. Fine-tune your English skills with a range of English course options, including working towards Proficiency English, test preparation classes for TOEFL or iGrad, and English for Academic Purposes. Attend credit-bearing classes in your chosen subject, alongside American college students at your selected institution. One of the benefits of studying Kaplan’s University Experience Year is that our partner schools recognize our English levels. This means that you won’t have to sit a separate TOEFL exam as a part of the application process. Kaplan's University Experience Year offers you world-class English language training alongside tailored academic support. We'll help you navigate the American college experience with ease. 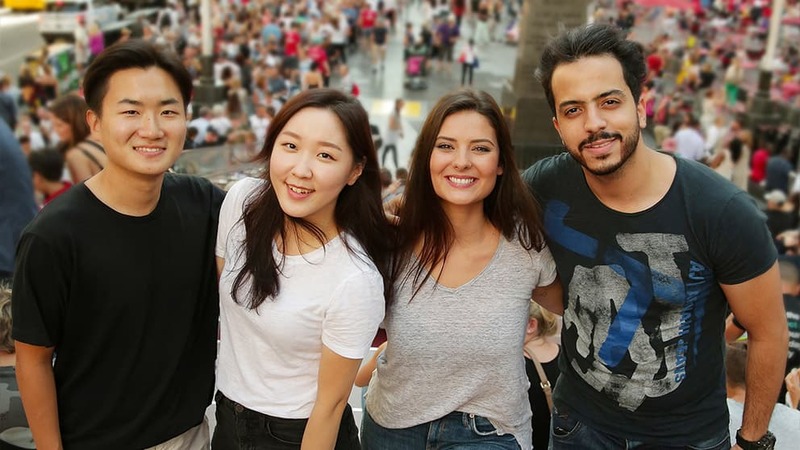 Your studies at Kaplan Our University Experience Year offers you so much more than just a standard English course. While you build your English proficiency, you will benefit from specialist help to prepare for life on an American University campus. 26.25 hours of intensive English tuition, including Specific Skills sessions and access to K+. Orientation sessions include a campus tour of your chosen institution, a walking tour of the city, and group seminars on the US classroom experience. Individual guidance to help you through the process of choosing your credit-bearing course and enrolling at your chosen institution, including assistance with application forms and help meeting deadlines. Personal support to ensure you get the most out of your studies, including help with the vocabulary of your course subject, guidance on academic writing and lecture comprehension, and project coaching. By the end of your course not only will you gain a Kaplan certificate to testify to your achievement in English (accepted in lieu of a TOEFL score by several universities around the world) you can also gain 3 – 6 credits from our partner university. Master difficult grammatical structures, fine-tune your pronunciation, read complex texts and build a large working vocabulary. Eliminate your weaknesses, explore your interests or prepare to achieve the qualifications you need. Our exclusive K+ Online and K+ Online Extra materials help you reinforce progress made in class and provide instant feedback, while our teacher-led K+ Learning Clubs allow you to socialize and practice your language skills at the same time. Your university experience Divide your time between advanced English lessons at Kaplan and credit-bearing classes at a prestigious American university. When you choose Kaplan’s University Experience Year, you’ll benefit from world class tuition without having to go through the highly competitive admissions process. You won’t need to sit any additional tests to begin your college classes: your Kaplan certificate will be accepted in lieu of a TOEFL score. When you complete your University Experience Year, you will receive a transcript from a prestigious American university, recording your classes, grades, and credit hours. If you’re planning to take an undergraduate degree in the US or Canada, you can use your transcript both to support your application, and to count towards your eventual degree. The credit bearing course fees range from $281 to $1,690 per credit. This amount might vary depending on the university partners and the course availability, alongside other additional fees that might apply per institution. Can I progress straight from the University Experience Year to a degree course at an American university? Yes. Our University Placement Service offers personalized guidance to help you find the right subject and university, along with practical help and advice throughout the application process. You’ll receive a Conditional Letter of Acceptance from your chosen institution, and our free English pre-arrival test and study plan will help you understand the requirements and prepare you to meet them. The transfer I-20 is requested no more than 60 days after you complete your University Experience Year. There is no more than a five-month gap between the completion of your University Experience Year and enrolling as a university student. How many academic credits does the University Experience Year program carry? You can take one college class for three credits, or two classes for six credits. All credits are transferrable. No. You do not need to take the TOEFL test to begin your course or to progress to your university extension school. If you wish to progress to continue your studies after your University Experience Year, your Kaplan certificate will be accepted in lieu of a TOEFL score by many partner universities in the Kaplan’s University Placement Service network. Applications to universities outside of the UPS networks typically require an English test score from an external provider. What if I fail to get the required English level? We’re so confident in our teaching methods that we’ll make you a promise. Provided you meet all attendance and study requirements, you will reach the equivalent of TOEFL 80 in time for your college classes– or we’ll offer four weeks of extra tuition, free. If you are not able to start your credit bearing course, we will assess how much of the additional University Experience Year services you have benefited from and discuss with you how we can help you reach your English proficiency goals. Will I need to pay for my credit bearing course alongside the fee for my studies at Kaplan? No, payment for the credit bearing course will be made directly to the university before your second semester begins. The exact price will depend on your chosen university extension school, your selected course and the number of credits you take.